The A-4 is one of the greatest jet aircraft ever to have served with the USN and US Marines. The Skyhawk still flies with some of the air forces of the world, nearly 50 years after first entering service. 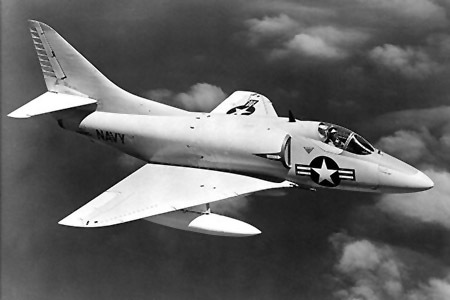 The A-4 was among the frontline of the US Navy and Marines for attack missions over Vietnam.